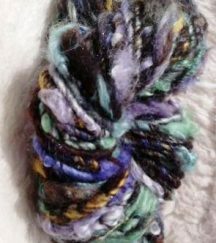 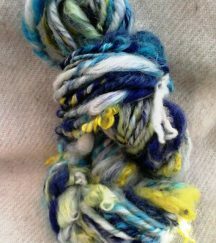 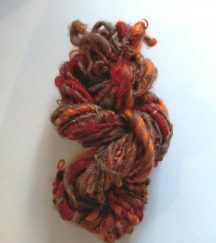 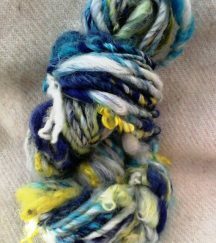 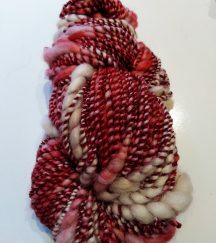 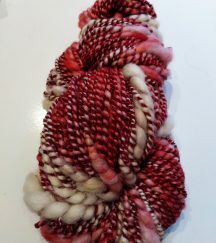 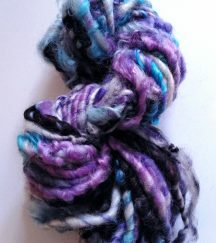 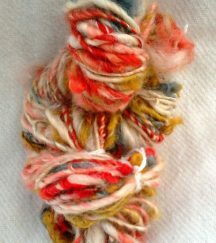 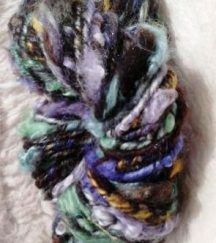 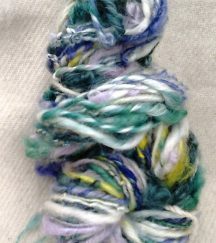 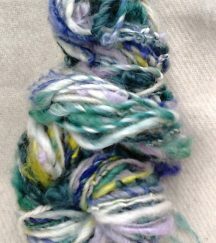 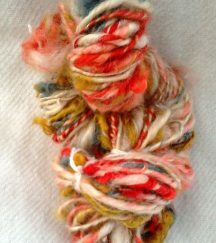 This is a hand dyed, hand spun art yarn perfect for those Christmasy projects. 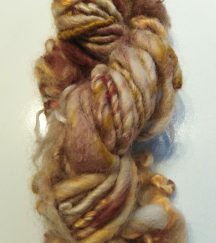 Spun from Merino and plied with a chenille ribbon. 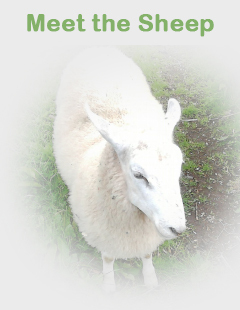 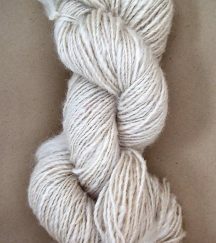 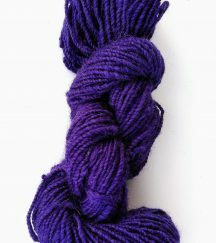 Due to the hand crafted nature of this yarn, no two skeins are exactly alike. 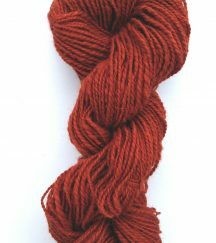 Each skein measures approximately 133 yards. 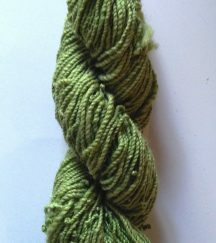 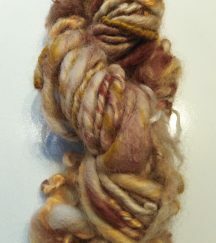 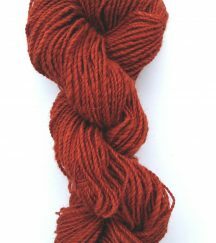 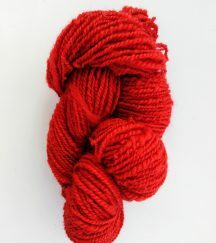 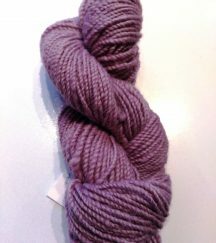 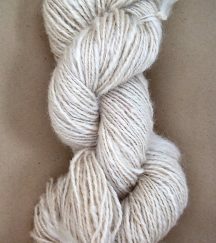 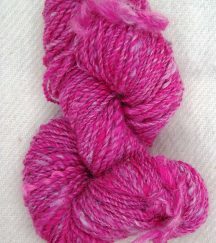 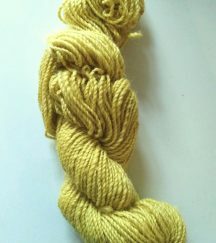 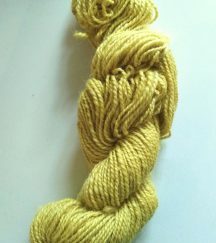 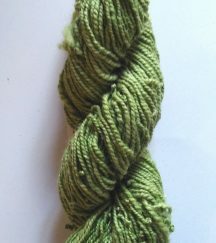 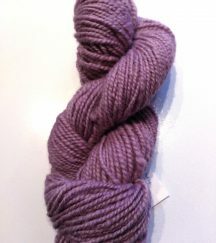 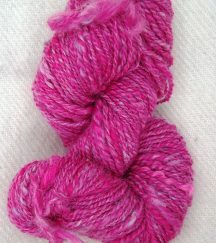 This lovely rich colour was obtained by dyeing the 2 ply handspun Romney wool with root from the madder plant. 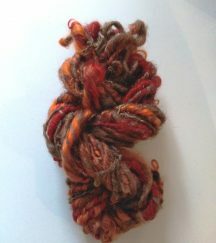 The madder is a common dye plant and I’m growing it in my garden. 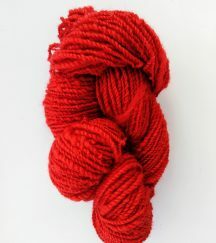 Each skein holds approximately 100 yards of DK weight yarn. 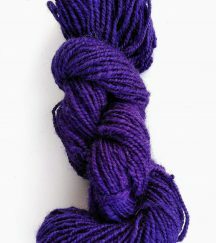 Please order a sufficient quantity to complete your project, as each dye vat can vary.